As regular readers of The Mirror know, we often quote the Constitution of the Kingdom of Cambodia to have a clear basis when trying to better understand certain actions and events. Today’s editorial is written hoping for discussions and explanations, and, if necessary, clarifications and corrections. Recently, there were actions and statements, which seem to call for explanations and clarifications, so that a common public understanding can be achieved. One issue is related to the Anti-Corruption Law, and the other to regulatory plans or decisions in the field of telecommunications. As for the Anti-Corruption Law, this is not an attempt to analyze its content. It is only to share some observations, some of which seem to have implications related to the Constitution of the Kingdom of Cambodia. The first observation is related to formalities, as this is the Cambodian law which has been drafted for the longest time compared to other laws – since 1994, and with active support for this process by the United Nations since 2004. Then, in December 2009, the spokesperson of the Council of Ministers announced that the draft is now ready, but he disclosed only one point: that also the heads of NGOs would have to declare their assets, adding that the text would be available for consideration as soon as it would be at the National Assembly. This too took a surprisingly long time; because of timing problems, the parliamentarians of the Human Rights Party declared not to take part in the parliamentary deliberations of this draft, as they did not have enough time to review this important text, which was actually distributed only on 5 March 2010, while a session of the National Assembly was scheduled to be held already on 10 March 2010. And then the draft, under deliberation since 1994, was adopted very fast, without any amendments, in just one and a half days. An Anti-Corruption Law had been awaited eagerly since years, as Cambodia was ranked 158 out of 180 countries on the latest list of the corruption perception index of Transparency International, and it was ranked the second most corrupt Southeast Asian country after Indonesia, in an annual poll by the Political and Economic Risk Consultancy. The UN country team in Cambodia, made up of 23 specialized agencies, had expressed its concern that an extra-ordinary session was convened only days after the draft had been shared with the members of the National Assembly. But the Cambodian government considered the call by the UN country team for “a transparent and participatory” process to be “flagrantly interfering in the internal affairs of a UN member state,” and to be a statement outside of its mandate, though “good governance and the promotion and protection of human rights” is one of the four fields of the agreed UN Development Assistance Framework, on which the work of the UN country team is based. But not only the timing gives cause to questions. The UN country team was also advised by the Cambodian government to “refrain from acting as if it were the spokesperson of the opposition parties.” We are not aware that this had been the case, but the press had also quoted the Prime Minister as saying, “if somebody wants this law to be amended, they have to wait until they win the elections.” We cannot verify that the Prime Minister said so, but these words seem to indicate that the constitutional principle, stated in Article 51, “The legislative, executive, and judicial powers shall be separate” is not considered to be applicable. In normal parliamentary proceedings under the separation of the three powers of the legislative, the executive, and the judicial, no executive can know – before the deliberations in the legislative – if a draft will be amended or not. This is not only something which may happen because of efforts of opposition party members, but also any active member of the parliamentary majority may scrutinize drafts and propose amendments, before voting on a draft. Besides, the Senate, and the Constitutional Council, are additional important stages to consider legislation passed by the National Assembly – irrespective of party allegiances of their members – which may result in amendments, before a law is presented to the King. Such considerations may not only come from opposition parties, but they are foreseen as possible in the Constitution itself. The Senate and the Constitutional Council were not created just to rubber-stamp what the National Assembly has decided. There is a second issue, which seems to be of a more technical nature – but it has fundamental implications for the free flow of information, and for the basic principles for the management of the economy of the country, as laid out in the Constitution of the Kingdom of Cambodia. Two weeks ago, under the 28.2.2010, The Mirror had presented, in more detail, considerations under the headline of “Internet Governance, Censorship, and the UN Multi-Stakeholder Approach” about plans to force all Internet communication between e-mail users of different Internet Service Providers in the country through only one Internet Exchange Point [IXP]. A deputy director of Telecom Cambodia – the organization to operate the IXP – had said that a Web site that attacks the government could then be blocked. As the Minister of Information said: there is no legal basis for this. In the meantime additional information appeared and is discussed: Telecom Cambodia might get the right to operate a monopoly by becoming the only company in Cambodia with the right to internationally buy Internet connection, and all other Internet Service Providers would have to buy their international access from Telecom Cambodia, one of their competitors. Such interference into economic affairs is difficult to understand in view of the legal framework defined in the Constitution, where the state is ordered – rather than to interfere into the marked – to guarantee that the market can operate freely “in order to guarantee a better standard of living for the people” according to the forces of competition in the market. It should be remembered that Telecom Cambodia was created in order to disengage the regulatory and the operational functions which formerly had been both combined in the Ministry of Post and Telecommunications. In a speech of the Prime Minister to welcome the Third Asian-German Editor’s Forum on 31 January 2000, he referred to this principle, “I think it is best to give everyone of you the role as an evaluator for your judgment to be made on the current situation of Cambodia. What I can share in this efforts is the three pronged strategy which I have put out… Essentially, one needs to have a clear and correct vision before one can develop Cambodia as a process.” This orientation led also to extensive consultations with advisors of the World Bank about the situation of the telecommunication sector in the country, which the Prime Minister had identified on several occasions as a crucial field for the future of Cambodia, in a situation, where the costs of using the telephone and the Internet was – and still is – high in Cambodia, compared to neighboring countries. The present intentions, to re-establish, a monopolistic role for Telecom Cambodia, would revert what has been achieved under the Prime Minister’s guidance, related to the second of his three-pronged objectives: to place the policies of the Cambodian government, after decades of international isolation, into the present international context. Telecom Cambodia was created as an operator under the rules of the market, to have competition among other operators, and to establish the Ministry of Post and Telecommunications as a technical regulator. To give a mandatory monopolistic role to Telecom Cambodia is contrary to the efforts of a decade, and is contrary to the Constitution of the Kingdom of Cambodia. 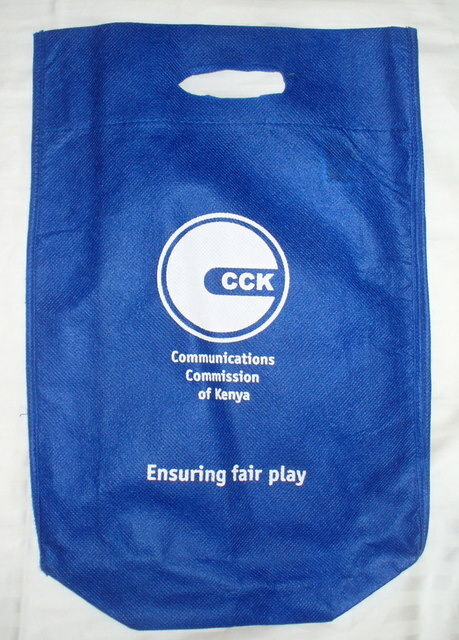 I have observed these developments during the last two weeks form abroad, participating in the meetings of the Internet Corporation of Assigned Names and Numbers – ICANN – the institution coordinating the assigning and the functioning of the Internet addresses, which was held in the Kenyan capital Nairobi. 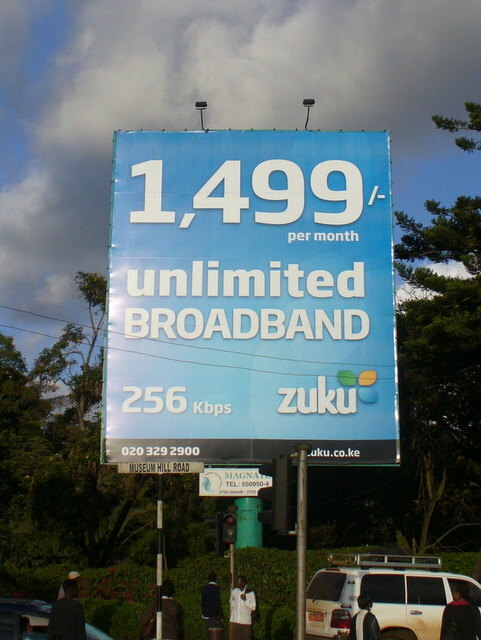 1499 Kenyan Shilling per month, that is US$20 for unlimited broadband Internet access at a speed of 256 Kilobit per Second – how long will this remain a distant dream in Cambodia?